Broome Street Society opened their doors in September of 2016. 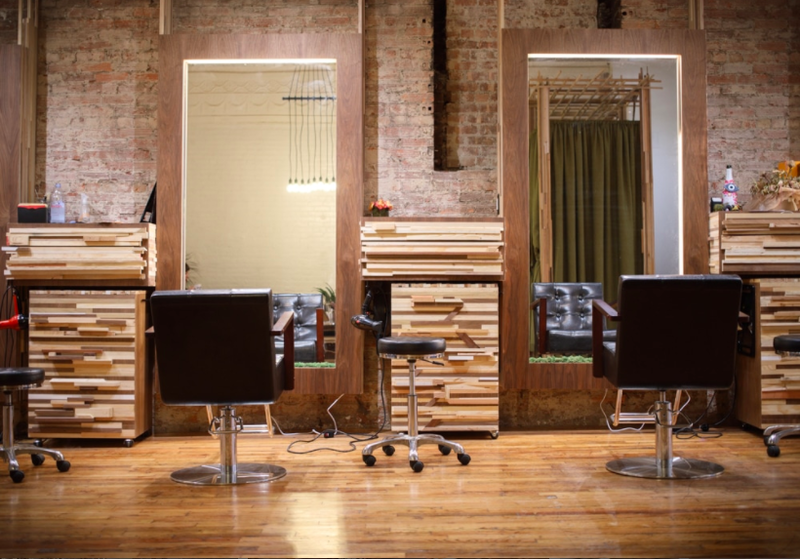 Salon Owners, Andrea Hans and Josie Sanchez have created a beautiful salon in Manhatten, with a peaceful, yet fun vibe. It is important to both Andrea and Josie, that they provide a space where their clients can feel welcome and comfortable. They have created a partnership where they continuously support and empower each other. "Remaining proactive instead of reactive," celebrating their success together, and choosing not to feed into negativity, are just a few pieces of advice they offer to new stylists thinking of entering into a salon partnership. Of course I found Broome Street Society on Instagram. I just love the feel and vibe their salon gives off through social media. It speaks volumes about their brand and their strong partnership. Check out their interview with Nina Tulio of 1N Agency. As always, we hope this will motivate you, inspire you , and encourage you, to continue to share your love and passion for the beauty industry. 1.Tell me a little bit about your salon and how it came about? 2. How many stylists do you have. Full time/part time? We have 10 full time stylists, five part time stylists, three estheticians/nail techs, six apprentices, and five guest coordinators. 3. What makes you passionate about the beauty industry? Our industry is constantly evolving and growing. It's amazing that there are so many opportunities within it. One thing that we both love is that we can set the tone and expectation for what our careers will look like. Finding endless possibilities inside of growing a brand keep our energies up, our creative thinking productive, and our love for learning new things a constant. 4. Since you are a new salon owner, what advice would you give to a fellow start up ? It will serve you well to adopt the understanding that there "will always be something". Being prepared for the unexpected is a difficult thing to do, because unexpected situation are exactly that-- and hard to prepare for. Assuming that you'll need more flexibility than expected, more communication than expected, and more support than expected is a great way to start. Don't be afraid to ask for help when you need it. Humor, in most situations, is an incredible tool. 5. Is owning a salon everything you thought it would be? It doesn't quite seem real to either of us yet! It's an amazing feeling to be able to drive the business and culture to be what we envision. * Take all of the meetings. When you open, every brand, potential employee, and new tech startup wants to talk to you about how they can help you. Find what works. Say no when it doesn't feel right, but always know your options. * Put yourself out there. Promote, use social platforms, ask for reviews, be visible. People need to know you exist before they are going to become your clients. 7. What has been the hardest thing for to overcome as a new salon owner? We have a joke that we have had to do everything twice. Deciding that our "perfectly devised" plans don't work the first time is a hard thing to admit, but holding on to something that isn't working is far more detrimental. 8. Can you give some advice to stylists thinking of going into business with a partner? What is your secret on making your business partnership a success? We do what we say we are going to do and communicate if we cannot. There will always be successes and failures on both sides of a partnership. Deciding not to make the other person wrong and/or be jealous of their successes is the best way to operate. We empower each other and we offer support if the other needs it. We also recognize that we will never need the same amount of support at any given time and that is ok. We chose to not feed into negativity, remain proactive instead of reactive, and celebrate our successes together. A little friendly competition is never a bad thing in our relationship if all of this is present. 9. 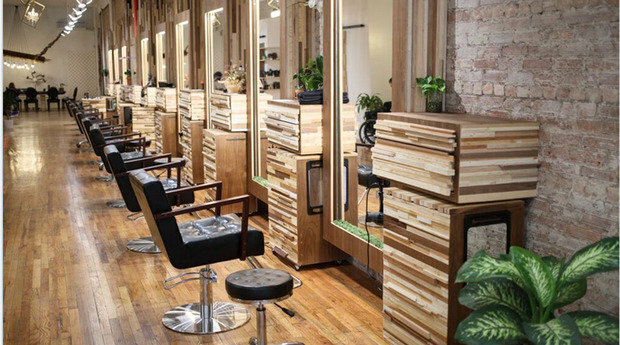 Since you are in NYC where there are salons on every corner, what have you done to make your salon a stand out in the industry? We pride ourselves in the work that comes out of our salon and the community that we are building inside. Our clients feel like they are entering a space where they are welcome, accepted, told the truth, and can be comfortable. We have a beautiful work space and maintain a peaceful, fun, and professional environment for both staff and guests.